The Gravity LS TBTV 28 is a great quality, sturdy lighting stand with a T-bar and dual extensions. 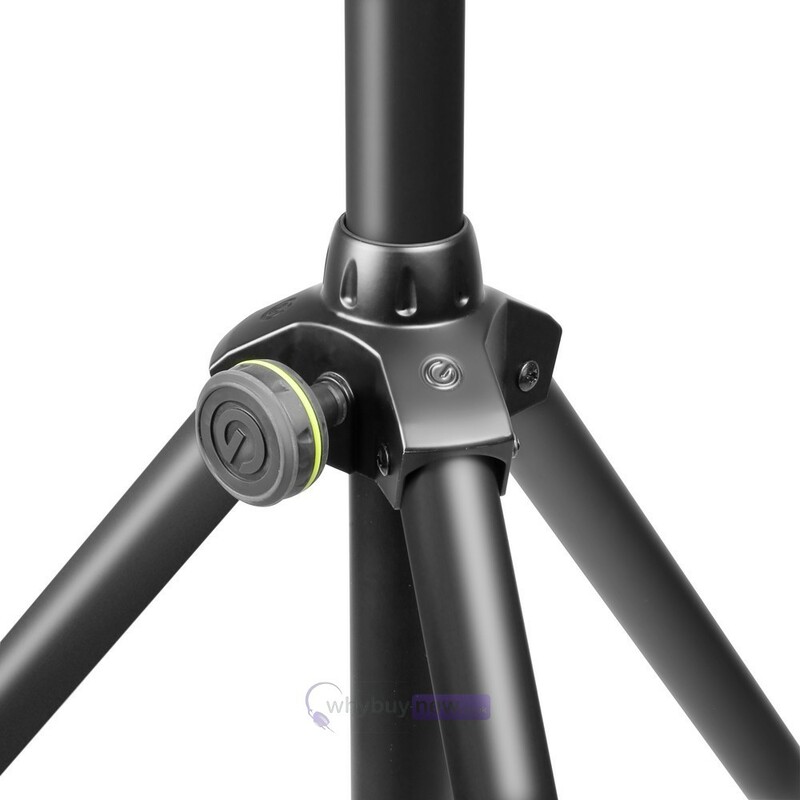 The stand is made from thick walled, yet lightweight black powder coated steel tubing. 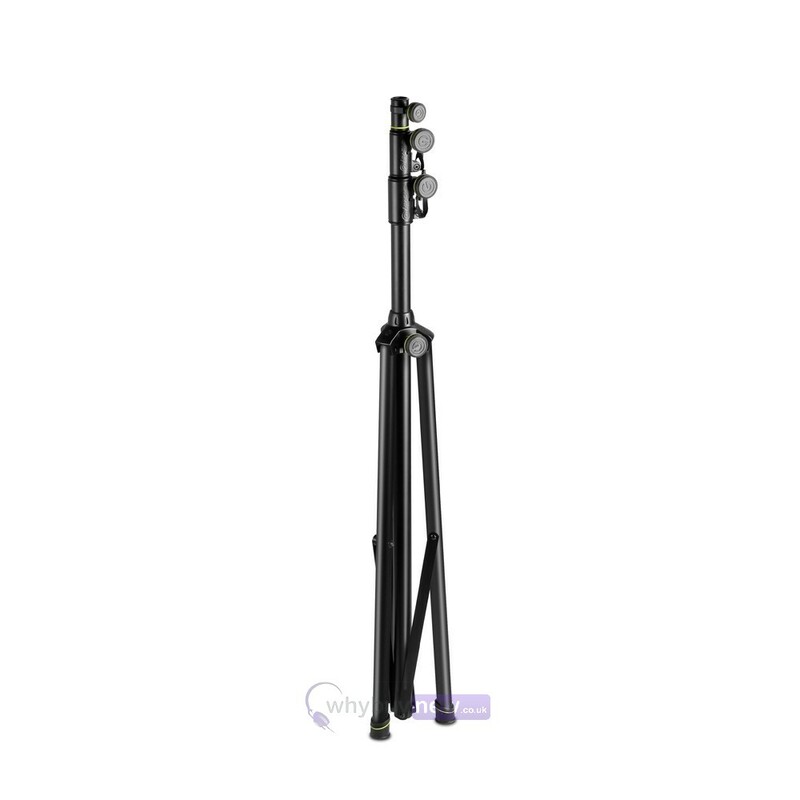 It is height adjustable from 1.45m to 3.25m and supports a maximum weight of 50kg. 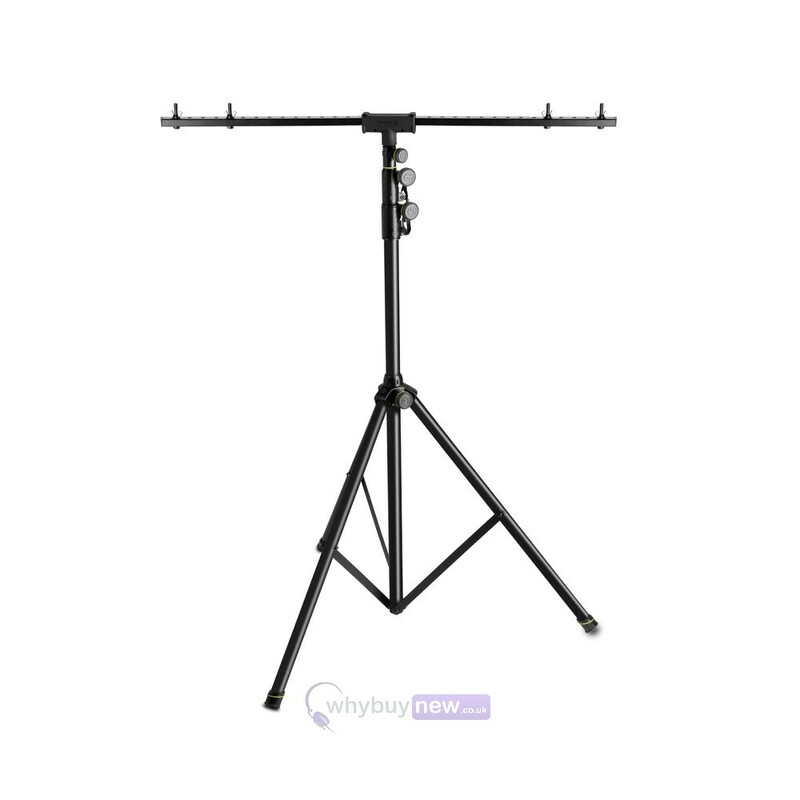 This Gravity lighting stand is ideal for mobile DJs, discos, bands and other live performances. The unbreakable height adjustment collars are made of steel for additional strength and feature safety pins to securely lock the extensions in place. 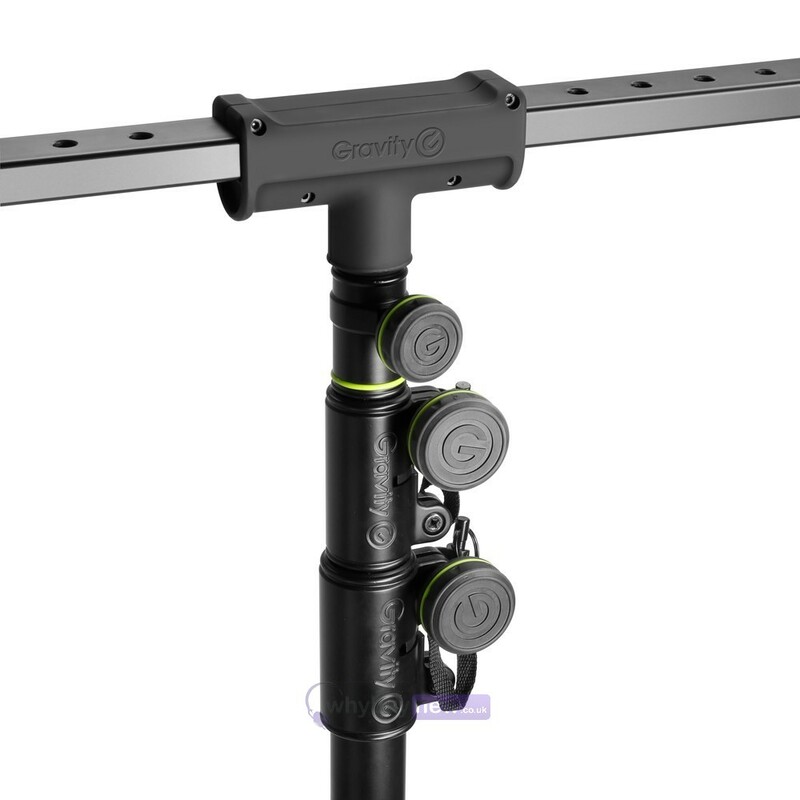 The ergonomic set screw knobs are made from high grade ABS with a soft touch, non-slip thermoplastic coating for comfortable handling. 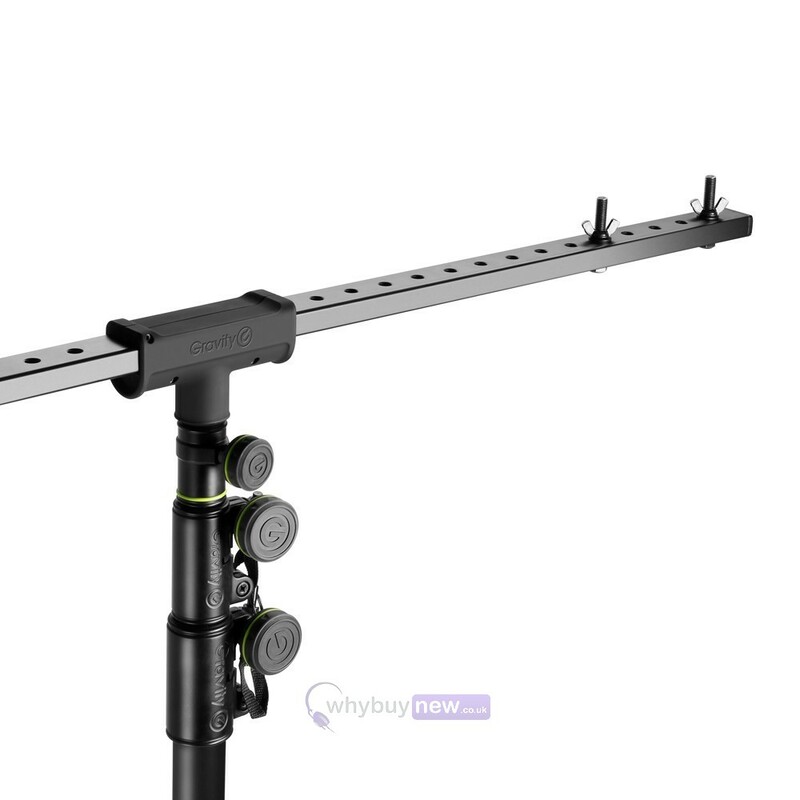 The stand includes a T-Bar with an ergonomically formed and rubberized T-Joint making the T-Bar not only easier to handle and carry but also look better looking than regular stands. 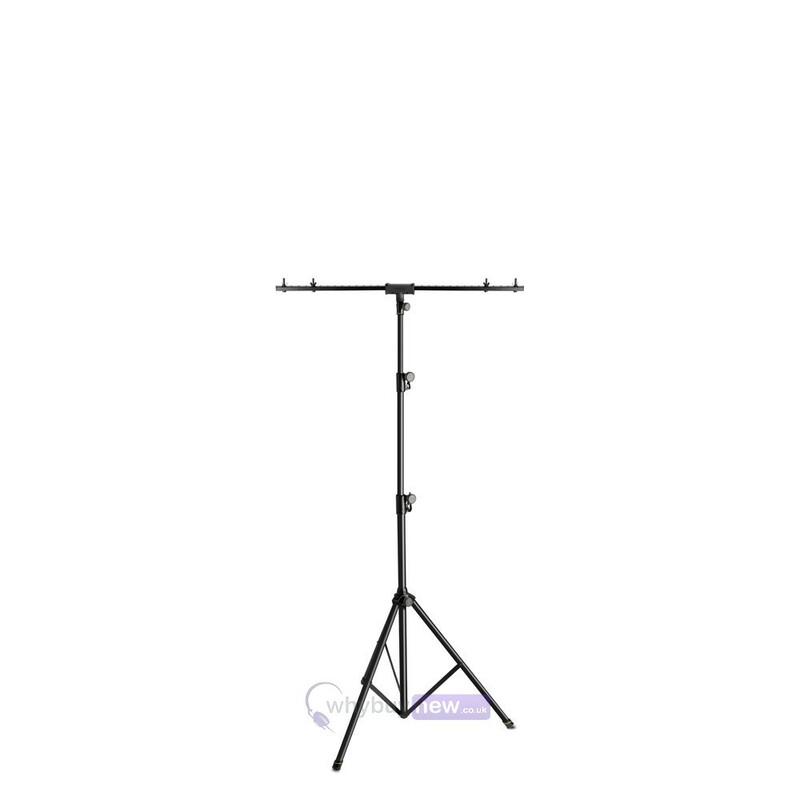 Here we have the Gravity LS TBTV 28 Lighting Stand in new and manufacturer refurbished which will come boxed 'with a few very minor marks' with a 1-year warranty. Buy this amazing stand with confidence with 100% satisfaction guaranteed or your money back!